An artist arrives in his paint-spattered studio ready to create a new work. He waits for inspiration, but his focus strays and the blank canvas taunts him. Suddenly, every task is filled with challenges, until chaos is unavoidable. 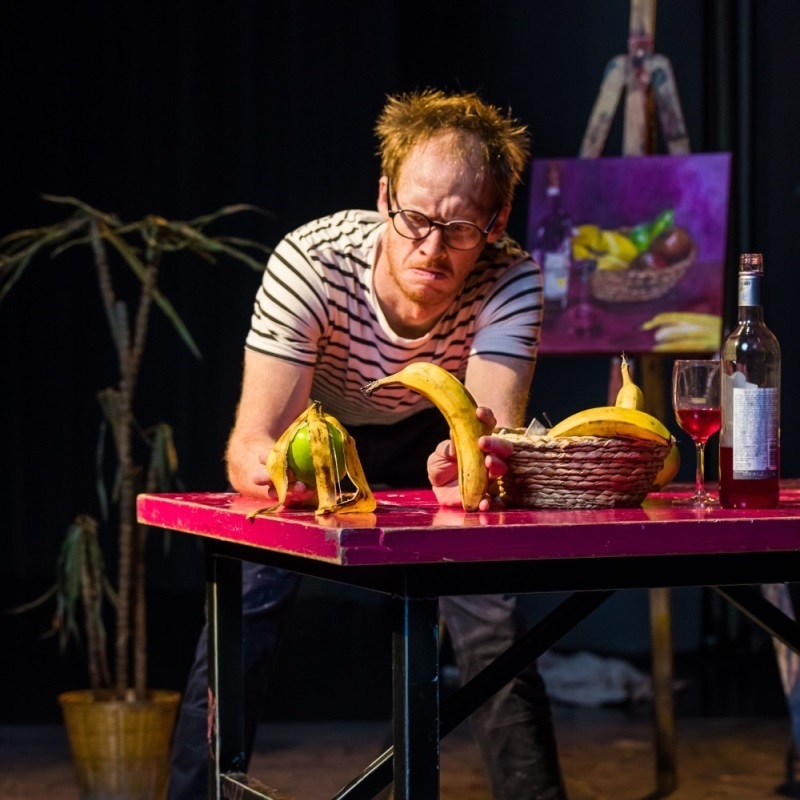 Combining hilarious clowning and physical theatre, The Artist is created by award-winning Thom Monckton and Circo Aereo, and directed by Sanna Silvennoinen. Since its premiere in 2017, the production has garnered praise at festivals including the Edinburgh Fringe Festival 2018 and the London International Mime Festival 2019.